Kind of big revelation this morning in Christopher Smith's piece on Michael Chavis that he broke his finger two weeks after coming off the DL for his thumb fracture and didn't tell anyone. If true and if it affected him, that's kind of big - makes it more likely that April was real and the injury kept him from getting back to that level (rather than, say, a regression to the mean). Also, just to add the SP.com two cents, he wasn't throwing while we were in Ft. Myers, so it looks like it may still be an issue, but that last part is speculating. He was fielding and hitting, which was strange - he'd field the ball, then toss it off to the side rather than throw to first. Lucky the Bird didn't poop on his finger. He's got to tell the medical staff when an issue with his body occurs. I know he wanted to keep playing, but this is rule #1: let us know when you are hurt so we can treat it and get you back on the field. Michael is a first round talent. Hoping this is an injury free year for his development. I really want to be optimistic about Chavis but I am a skeptic. He has a better chance to amount to something than Trey Ball but that isnt really going out on a limb. Anyway this a big year for Chavis and I hope he shows serious progress. Michael, if he stays healthy, is my break-out player of the year! Hoping he understands he will have to just hit the ball hard consistently at Salem, and not attempt to hit homers this season. He has power, but Salem can make even The Babe question himself. Solid contact, better-2-strike approach, and using the opposite field once in awhile will go a long way to propping up his status this year. I'd be ecstatic if Chavis hit close to .280 with 8 bombs and 30 doubles...and played every game. He is now my breakout candidate of the year. Bird poop is good luck. Bump for Chavis, who is absolutely on fire so far this year (along with Ockimey). He's got seven dingers already (and more than half of his hits are XBH), and an isoD of essentially .100. And he's hitting HR at Salem, which is a cavern. When you compare his numbers to what Benintendi did last year in the same league, it's tough not to get excited. Obviously he's got a lot more developing to do than Benintendi did, but the game power in a HR graveyard is very encouraging, especially coupled with an average K rate. He and Ockimey are getting pretty fun to follow. There is a good argument that the Scouting Scratch on Chavis is ripe for an update. Maybe we can move Sandoval to the 60 day dl and promote witte to Boston. Then move Devers to Pawtucket and Chavis to Portland. Would love to see what Chavis and Devers could do at the next level and I would be especially glad to end the horrible Sandoval experiment. While I applaud cherington for taking the chance, sometimes you have to call a turd a turd and move on. question on chavis. he is doing well at salem, wouldn't it be time to have him be a third,1st, outfield player? he should be looking at promotion to Portland. 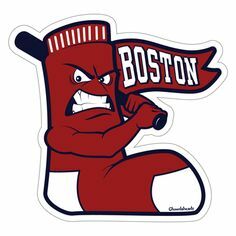 devers to Pawtucket chavis to Portland sounds about right to me. Idk if they view him as a defensively adequate full-time 3b, but obviously with Devers he's probably not going to be. They were DHing him because of residual injury concerns (shoulder?) but getting him some reps elsewhere at some point isn't a bad idea. I think the sequential promotion thing will happen, but it seems historically that they've now kind of passed the time for their round of early "oops, looks like we were a little conservative on his level" promotions and they'll likely wait for the typical round 2/midsummer at the end of June. Though with the 3b situation as it is, Devers might end up in Boston then. They typically wait until Portland before getting guys experience at different positions. The interesting question is where they think Chavis will play? Is he a 1B/3B type to pair with Devers? Or could he play LF if they move on from Bradley and play Fred Lynn, I mean Benintendi, in CF. Or do they even see him as Pedey's replacement at 2B? If Chavis keeps hitting, wouldn't it make sense to keep him at 3b and either shift Devers to 1b or split them at DH and 3b? (Assuming Hanley and Moreland will be gone by then). Is Chavis still the superior defender at 3b over Devers? I think that was the case when they first joined the org, but they've gone in opposite directions since then. Devers should be better at this point. I was thinking about 2b, but his arm is 3b quality and idk about the footwork at second. Plus, I've always had a question in mind of Betts moving back to 2b, where he'd probably be a GG-caliber defender. He's a gold Glover in RF, though. I think I'd leave Betts where he his. Seriously, I thunk LF/1B might make sense. Looking like they may want to keep Benintendi in CF and move on from JBJ. At least that's a solid possibility. Chavis might be just the thing in LF. Sure; it's more about what their options are and maximizing those. 2b tends to be a short-longevity position too, so there's that consideration. Maybe Mookie goes back to CF and Chavis, with his arm, plays RF. Or, as you say, move Beni. Hopefully Chavis gets some COF reps in Portland in a month or two. This has never been the case. Chavis has a lot of work to do at third and pretty much always has. I think a lot of us assumed Chavis, the high school shortstop (although it was known he'd need to move in pro ball), was better there than Devers, the big-bodied kid who might need to move off the position, when they were splitting time there in Greenville. But reports from there almost immediately debunked that thought. This is the strongest argument against the suggestion he get time at other positions that's being discussed here - you've got to play ONE position adequately before we reasonably can talk about getting a guy reps at MULTIPLE positions. Thanks. I know Devers has been much better than initial reports but didn't realize Chavis was worse (most of what I read on him focuses on his hitting and injuries). Has Chavis shown any defensive improvement this year from last? At 5'10" I don't see 1b as an option. Wasn't suggesting moving Devers before he had 3b down as I agree that the difficulty/time of learning multiple positions is generally misrepresented. Was considering that Devers could move to 1b down the line if a superior 3b made it into the lineup (maybe dalbec?). Chavis has barely played 3B this year due to his elbow injury and has made 3 errors in 6 games (51 innings) at the position, 2 of them fielding. An optimist will say that the sample size is too small to draw anything from and/or that rust is at least a partial factor, as the three errors came in his first three games at the position. At worst, he's still bad there. Thanks for the info. Didn't realize he wasn't Fielding due to injury. Hope this guy can get/stay healthy before his shot has passed him by. Luckily, given that he's 21 and would be entering the draft this year if he'd gone to college, he's quite far from being passed by. How much longer does Chavis need to sustain this production to begin to really shoot up prospect rankings league-wide? Considering he has almost no track record of sustained success, and the fact that he's essentially just a DH right now, he would probably have to mash all year for him to get much attention outside of the organisation. He really is murdering the ball though. The power, the cut in strike out rate and the pretty astonishingly low ground ball percentage must be garnering a bit of attention outside the org. He was pretty highly thought of coming out of high school and he has had some injury issues. If he goes to Maine and hits anywhere near what he's doing, I'm guessing they can find a position for him. That Chavis and Ockimey are one and two in OBP in the league with their power is encouraging.